As its name suggests, the SIMO Educación Learning Technology Exhibition is all about learning. It is an event that features learning opportunities, lectures, talks, and insights on how to best use the technological solutions available. Tackling a wide range of topics, from hardware to storage to printing and network systems to digitization and virtualization, SIMO Educación has become one of the most important events of the year for Spanish IT companies and enthusiasts. 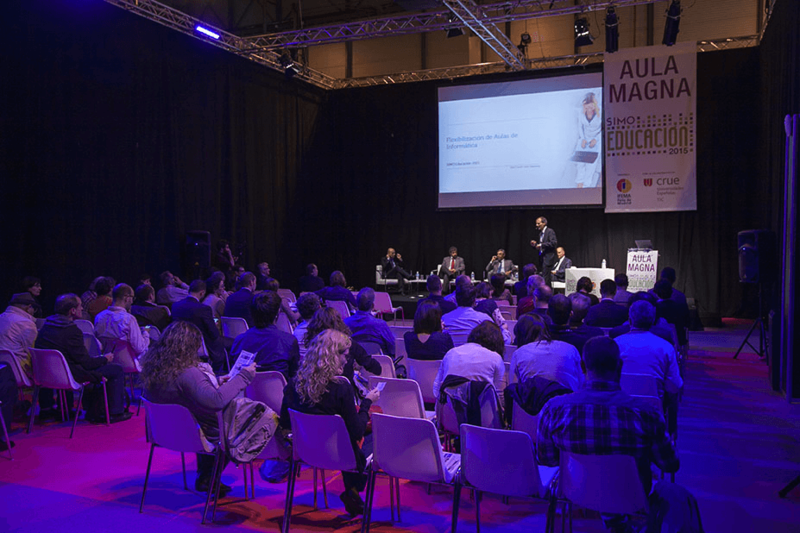 This year, the SIMO Educación Exhibition will be held October 19–21 at IFEMA – Feria de Madrid. For more information on the event in Spanish, please click here. Parallels will be attending this event, where we will present our solutions as part of the exhibition’s Virtualization track. We will be showing our three leading solutions: Parallels Remote Application Server, Parallels Desktop for Mac, and Parallels Mac Management for Microsoft SCCM. These solutions enable businesses to use cross-platform technologies to extend the capabilities of ordinary devices, which in turn allows end users and IT administrators to do more. Our booth, #12G11 in Hall 12, will have the Parallels Territory Manager for Southern Europe, Angel Garcia Ayas, on hand to introduce our solutions. Angel, an expert in Parallels solutions, will also address any questions about our products, as well as provide best practices and tips on how to tweak our products to help businesses get the most from them. With around 150 exhibitors and over 11,000 attendees expected from around the world, this year’s event promises to be very special. Whether you’re attending for personal or professional development, SIMO Educacion is one of the can’t-miss IT events of the year. For more information on the event in Spanish, please click here! We hope to meet you at SIMO Educación to give you a demo of our solutions. We will be in Hall 12 at booth #12G11. Don’t hesitate to contact us to arrange a meeting during the conference or drop by our booth.